I received a couple of free personalised cupcakes from Cake Toppers in return for a review. I snapped up this opportunity because I love all things cake! I picked 2 images that I wanted to be used on my cupcakes. I decided on 2 of my favourite cakes – my own wedding cake (that my mother-in-law made in Summer 2012) and the first wedding cake I ever made (for my best friend Tor last Summer). After looking at the website, I asked if I could try the cupcakes in both classic sponge and chocolate flavours. This was fine and the cupcakes were delivered promptly and securely. I missed the cupcakes when they came, so they went to the Post Office. I couldn’t collect them till till later in the week. I wasn’t sure how the quality of the cupcakes would be affected, as I wasn’t eating them straight away. The cupcakes were packaged well and were in good condition. They weren’t damaged in any way. I thought the images were clear and I liked the different effects that the shape of the image brings. One was rectangular (with white space) and the other circular (filled the topper). I didn’t pick these and may have something to do with the type of images I sent. 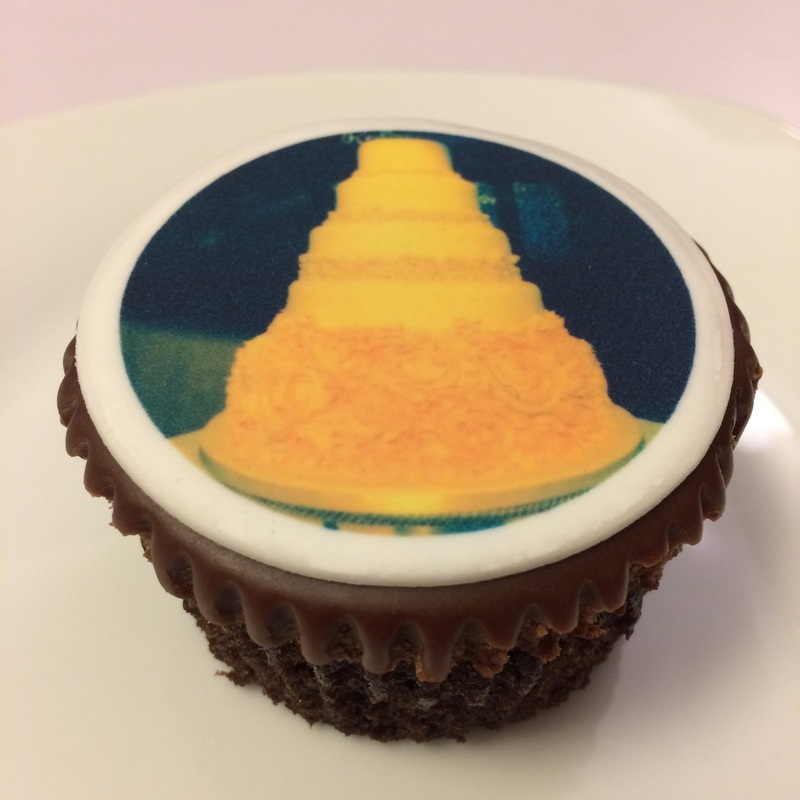 But it is probably something you can request/consult with Cake Toppers at the time of ordering. I needn’t have worried about the quality of the cake as they tasted fresh. I was pleasantly surprised how good they tasted. The cakes were both light and moist. They didn’t taste cheap but made of decent quality ingredients. The chocolate icing in particular is delicious. 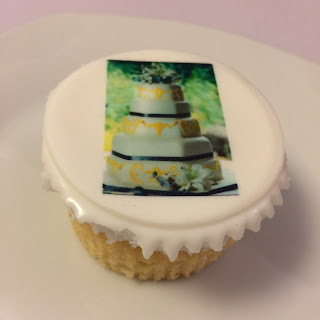 I would recommend these photo cupcakes from Cake Toppers. They look professional, add a personal touch to any event and taste great too! You can order them and different size photo cakes from the website www.caketoppers.co.uk. N.B. My wedding cake photo was taken by Henry Aarvold Photography. Hey this is quite brilliant. Photo cupcakes who would have thought. I love and will surely try out for myself. Keep up the great job that you are doing.